Facebook and Cambridge Analytica have been implicated in a massive data breach. Personal data from 50 million profiles is at stake, a former employee warned. The details can be hard to follow, so Business Insider has broken down what’s going on. Facebook and data-analytics company Cambridge Analytica are in hot water after a whistleblower revealed that Cambridge Analytica harvested data from 50 million Facebook users without their knowledge or consent. Cambridge Analytica founder Christopher Wylie went public with the story over the weekend for an extensive, densely-reported article in Britain’s Observer newspaper. Cambridge Analytica harvested information from 50 million Facebook users through an external app in 2015, according to Wylie, who worked there at the time. The data came from a personality quiz, which around 270,000 people were paid to take. The quiz – “thisisyourdigitallife” – in turn pulled data from their friends’ profiles as well, ending in the enormous data stash. What data did they get? Cambridge Analytica harvested personal information on where users lived and what pages they liked, which helped build psychological profiles that analysed characteristics and personality traits. This kind of information was later deployed in political campaigns. The quiz was created by Aleksandr Kogan, a Russian psychology professor at the University of Cambridge, who shared the information in a commercial partnership with Strategic Communication Laboratories (SCL), which later created Cambridge Analytica. Trump’s campaign hired Cambridge Analytica in June 2016 to help target ads using voter data gathered from millions of adults in the US. Cambridge Analytica also assisted Brexit Leave campaigners in the run-up to the EU referendum. 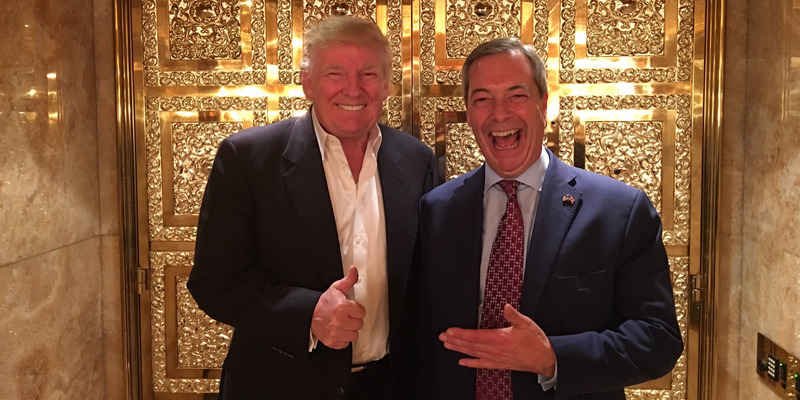 Nigel Farage / TwitterDonald Trump and prominent Leave campaigner and ex-UKIP leader Nigel Farage. The data harvest, as described in the Observer, could have been illegal based on data protection law. British legislation forbids personal data to be sold to a third party without consent. Also, Kogan could have broken Facebook’s own rules by using the data for commercial rather than strictly academic purposes. 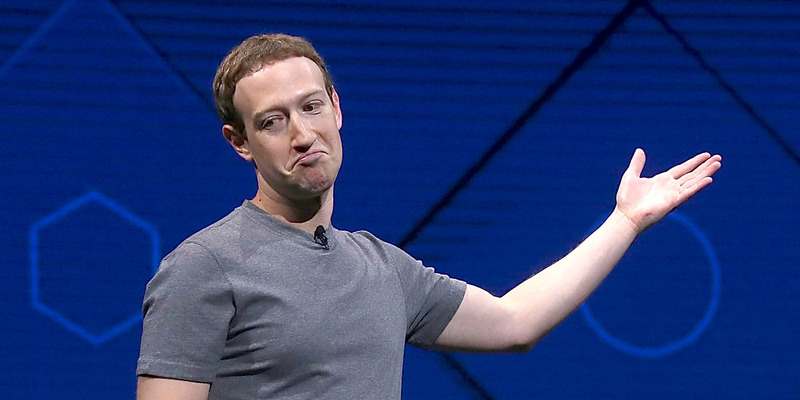 Facebook said it removed the Cambridge Analytica quiz app from the platform in 2015 and demanded that Kogan, Wylie, and Cambridge Analytica confirm that they had deleted all the data harvested. Wylie, however, claimed that Facebook only demanded that he remove all the Facebook data in August 2016, and they were small steps. However, raw copies of the data obtained by Cambridge Analytica are still available online, The New York Times reported. Does this change Facebook and CA’s previous testimonies? The latest revelations also suggest that Facebook and Cambridge Analytica both misled lawmakers about their actions. Alexander Nix, CEO of Cambridge Analytica, previously denied working with Kogan as well as using Facebook data. “We do not work with Facebook data and we do not have Facebook data,” Nix told British MPs last month, as cited by The Observer. Facebook has also denied that it gave Cambridge Analytica data. Facebook has since suspended Cambridge Analytica, its parent company Strategic Communication Laboratories, and Wylie from its platform. Wylie was also suspended from WhatsApp and Instagram, which are both owned by Facebook, The Observer’s Carole Cadwalladr reported. Possibly. 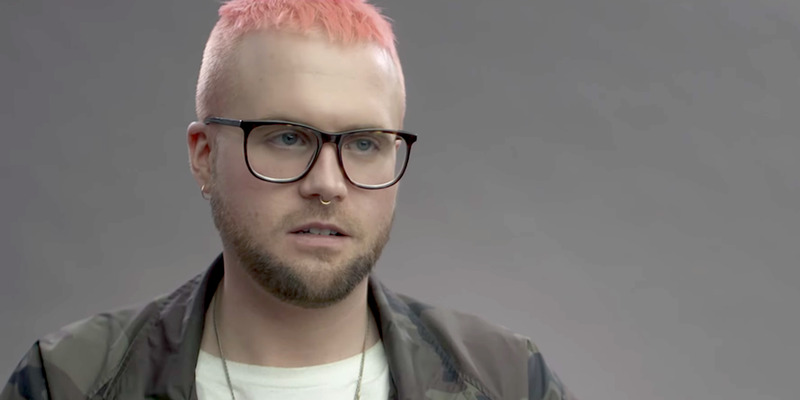 Wylie’s testimony has revealed a Russian connection to Cambridge Analytica and Kogan. According to Wylie, Cambridge Analytica in 2014 made a pitch to Russian oil and gas company Lukoil, which was and remains sanctioned by the US. 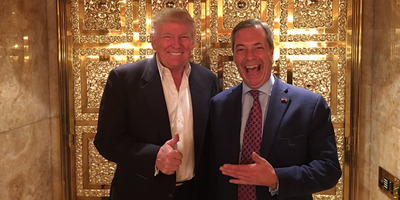 The company was interested in understanding the link between data, behavioural microtargeting, and political campaigns, and met Cambridge Analytica at least three times between 2014 and 2015, The New York Times reported. 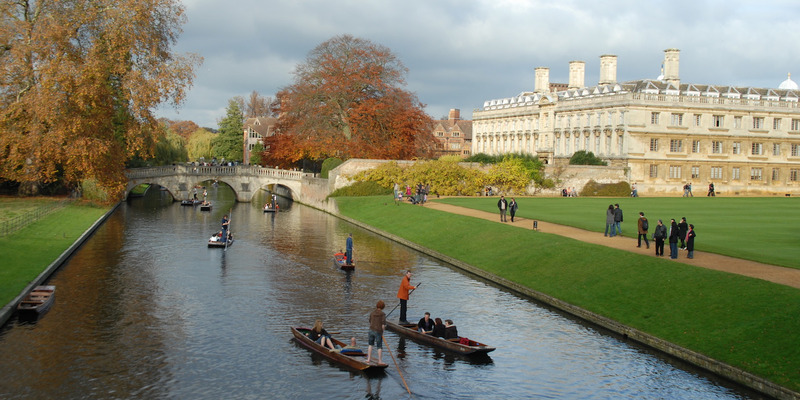 Kogan, the Cambridge academic, had also been an associate professor at St Petersburg State University and received Russian government grants while creating and harvesting Facebook data through the app, The Observer reported. Via FlickrCambridge University, where Aleksandr Kogan worked. Britain’s Department for Digital, Culture, Media & Sport Committee on Sunday accused Facebook and Cambridge Analytica of “misleading” the committee, and called on the two companies to explain themselves.Theresa May has also called on Facebook and Cambridge Analytica to cooperate with the probe. The EU on Monday also announced it would start an investigation into whether the data from 50 million users was misused. Massachusetts’ Attorney General, Maura Healey, also announced an investigation, but did not specify what it would be about. “The reputation of this company is being damaged by stealth, because of their constant failure to respond with clarity and authority to the questions of genuine public interest that are being directed to them.